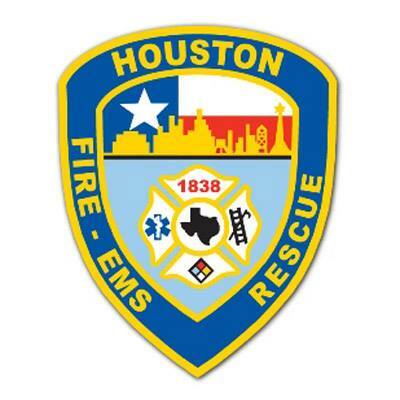 Houston voters in November will choose whether to grant firefighters pay “parity” with police of corresponding rank and seniority. After weeks of wrangling over the issue — including angry debates, rare legislative maneuvers and allegations of electioneering — the city council voted unanimously Wednesday to place the proposal before voters Nov. 6. Mayor Sylvester Turner initially gave council the option of scheduling the vote in November 2019 instead, but ultimately pulled that item from the agenda. Still, Turner repeated his concerns about the idea on Wednesday, saying it will cost the city $98 million a year and force layoffs. The mayor said he intends to host a town hall meeting in each of the 11 council districts before November to educate voters on the issue. Councilman Dwight Boykins was among those who voiced support for the measure, suggesting that the city’s voter-imposed cap on property tax revenues be adjusted to help cover the cost. Boykins also floated the idea of imposing a monthly garbage fee; Houston is the only big city in Texas without one. Turner and some other council members were, at best, reluctant to embrace those proposals. You know the background, but see here for a recent relevant post anyway. I’m going to vote against this, not that it really matters since the inevitable ballot language lawsuit only lacks a plaintiff at this point. I’ll be interested to see who takes what side in this fight – CM Boykins is the first elected official I’ve seen publicly support the idea – and how nasty it gets. Who’s going to run an anti campaign, and who’s going to contribute money to one or the other?I look forward to the 30 day reports. KUHF has more. Who knew there was such a thing? In a rare maneuver that sidesteps Mayor Sylvester Turner’s authority, five city council members have called a special meeting this week, hoping to force the issue of Houston firefighters’ push for a referendum on pay “parity” with police. The council members aim to secure their colleagues’ support for a resolution calling on Turner to place an item on the council’s July 24 agenda to schedule a November election on the petition, which seeks to grant firefighters the same pay as police officers of corresponding rank. In Houston’s strong-mayor form of government, the mayor generally has sole authority to decide what appears on the agenda for the weekly council meetings. The lone exception allows three council members to set the agenda of a special meeting. Such gatherings — including this one — typically are organized without the mayor’s approval, and often struggle to muster a quorum, as many of the 16 council members are loathe to invite the mayor’s wrath. Council members Greg Travis, Michael Kubosh, Brenda Stardig, Martha Castex-Tatum and Dwight Boykins signed a Monday memo calling a special council meeting for Friday at 10 a.m.
Turner is on a trade mission in South America and will not be back in time to attend the meeting. Kubosh said he signed the memo to help ensure the issue was discussed, noting that several elections have passed since the petition was submitted. “They were successful last year at stalling it a whole year, so, yes, I think that’s possible,” Kubosh said, referring to the Turner administration. [CM Dave] Martin [who chairs the Council’s budget committee] said he does not intend to attend Friday’s meeting and doubts the organizers will have the quorum necessary for a formal vote. It is unclear what the impact would be if the proposed resolution reaches a vote and passes. City Attorney Ron Lewis declined to address whether that outcome could force the mayor to act, given that the city charter gives Turner control of the council agenda. Insert shrug emoji here. The petitions were certified in May, and one would think the vote would be in November. According to Mayor Turner’s chief of staff and confirmed by CM Martin, this was to be discussed at the budget committee hearing on July 26, with the item for placing it on the ballot to be on Council’s August 8 agenda. I don’t know what else there is to say. As you know, yesterday was the filing deadline for the primaries. Lots of things happen at the last minute, and the SOS filings page isn’t always a hundred percent up to date, so I’m hesitant to make final pronouncements about things right now. Here are a few things I do know about or have heard about, some of which I will double back to tomorrow, to suss out how they ended up. – The one candidate who ultimately declined to run for Governor was Dwight Boykins, who announced over the weekend that he would stay put on City Council. My Texas Senate District is District 8, formerly represented by Van Taylor. He has chosen not to run for re-election, but instead to run for the U.S. Congress to replace the retiring Rep. Sam Johnson. Republicans running to replace Van Taylor are Angela Paxton, Texas’ AG Ken Paxton’s wife, and Phillip Huffines, the twin brother of Don Huffines, who is already in the Texas Senate. Both of these candidates will, as you might suspect, work to enact Lt. Gov. Dan Patrick’s agenda, which, sadly and wrongly, will include legislative measures, like bathroom bills, that will hurt the State of Texas and its most innocent citizens. No longer willing just to stand by, this past Thursday with the encouragement and support of my wonderful husband, Vic, I filed to run as a Democrat for the Texas Senate, District 8. While District 8 is a conservative district, a win is doable. Trump only carried it by 8 percentage points in 2016. With a big enough Blue Wave and your support, we can win, and I intend to do what is necessary to win. There is another democratic opponent, a very nice fellow. The primary is March 6, so I have to get very busy and need all of your support in order to be able to challenge Paxton or Huffines. On Friday, I obtained a tax i.d. number and set up a checking account. And I am in the process of setting up an account with ActBlue to accept online contributions, but it it will be a couple of days before it is operational. If anyone doesn’t want to wait (or if someone prefers not to make online contributions), checks can be mailed to Mark Phariss Campaign, 6009 West Parker Road, Suite 149-126, Plano, TX 75093. My campaign e-mail address is markphariss4district8@gmail.com. SD08 will be a very challenging fight, but the value proposition in supporting a genuine leader like Mark Phariss over atrocities like Angela Paxton or Phillip Huffines more than outweighs it. If you’re making your 2018 campaign contributions budget, put in a line item for Mark Phariss’ campaign. – Ivan Sanchez stepped down from the Houston Millennials group he founded to announce his entry into the field for CD07. That’s a daunting race to enter, as all the candidates that are already there have been there for months, long enough to have filed Q2 and Q3 finance reports. He starts out well behind in fundraising, but if even half the people who liked and shared his post and congratulated him on Facebook live in CD07, he already has a decent base of support. I’ve crossed out the ones for which candidates have since appeared. I’m so glad someone finally filed in HD135. – You know who else filed? This guy, that’s who. In the face of a storm of controversy and a slew of challengers, U.S. Rep. Blake Farenthold indicated Monday he’s still running for re-election. This time around, it will likely be a lonely battle for the Corpus Christi Republican. “It’s lonelier than it’s been in past times, but he’s not alone,” said Farenthold’s chief of staff, Bob Haueter, on Monday evening. I hope that means he’s under constant adult supervision. Have fun defending your record, bubba. I’ll have more tomorrow. In the meantime, here are the early recaps from the Chron and the Trib. We’ll know shortly, but it seems to me that if the answer was going to be “nah, I’m outta here” we wouldn’t be hearing pre-announcement teasers. Houston entrepreneur Andrew White, a conservative Democrat and son of the late former Gov. Mark White, is close to announcing he will become a candidate for Texas governor. Supporters and allies said Tuesday they expect White, 45, has all but decided to run against Republican Greg Abbott. They said they expect an announcement on his decision in early December. Reached by phone, White told the Houston Chronicle he “is moving from contemplating to executing and preparing.” He said he would discuss further details in coming days. White would be the first Democrat with at least some street cred to run in a year when Democratic officials have, so far, failed to announce a banner-carrier to run against Abbott. Two other Democrats have announced — Dallas gay bar owner Jeffrey Payne and San Antonio businessman Tom Wakely — but they are both considered long shots with not enough name ID or funding support to win. White would be a “next gen” candidate, younger than Abbott and most other gubernatorial candidates, with hopes that he could coalesce support from Democrats and moderate Republicans disgusted with the GOP leadership’s push to enact a bathroom bill, a ban on sanctuary cities and other controversial proposals that have drawn widespread protests — even from the business community that traditionally supports Republicans. See here for the background. At this point, I’ll be surprised if White doesn’t file, which probably means that the other potential candidates will fade away. But maybe not – White has the name, and likely some decent fundraising chops, but he hasn’t exactly bowled over the base. He’d be a strong favorite against the candidates who are already in, but a Lupe Valdez or a Michael Sorrell or a Dwight Boykins would be a fair fight for the nomination. I wouldn’t mind that at all – let’s have a real debate about who and what we want on the ticket. Absent that, I’d advise Andrew White to take a page from Beto O’Rourke’s playbook and get out there and meet a bunch of voters. Listen to what people are saying, especially those who have been critical of his positions on reproductive choice and immigration and other issues. Otherwise, I fear we’ll go from a narrative of “Dems don’t have anyone running for Governor” to one of “Dems don’t have anyone they like running for Governor”. We could do without that. The line forms to the left. As Democrats look for a serious candidate to challenge Gov. Greg Abbott in 2018, another big-city official is surfacing as a potential contender: Dwight Boykins, a member of the Houston City Council. Boykins said he has not made “a final decision about the possibility of running for a higher office,” but the clock is ticking with less than three weeks until the candidate filing deadline for the 2018 primaries. 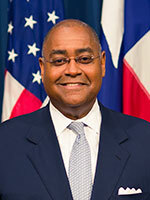 Boykins mentioned Abbott’s refusal to immediately tap the state’s $10 billion savings account, known as the Rainy Day Fund, to deal with the post-Harvey recovery, saying it shows the “disconnect between the current leadership of our state and the needs of the people.” Abbott has expressed openness to using the fund in the 2019 legislative session to make up for Harvey-related costs incurred between now and then. Add his name to the list that contains Andrew White, Michael Sorrell, and Sheriff Lupe Valdez. Because Houston now has four-year terms for City Council, Boykins would have to resign in order to run, so that’s another factor for him to consider. I should note that Campos teased this in a post a couple of weeks ago; I’d since forgotten about it. Boykins would need to explain his vote against HERO in 2015 to some folks, myself included, if he were to make this official. Beyond that, as with the others, we’ll see what he has to say for himself if this becomes a thing. The Chron has more. Feels like we’ve been here before, doesn’t it? Today is the day for the Senate precinct convention in SD13, in which a nominee for that office to replace Sen. Rodney Ellis will be chosen. There are 96 precinct chairs in total across Harris and Fort Bend Counties, and we know the basic process by now. The main difference here is that as this district spans two counties, the TDP is the entity running the show. I doubt there will be as much parliamentary maneuvering as there was on June 25, mostly because there just hasn’t been enough time for the kind of organization to make that happen, but we’ll see. A total of four candidates for SD13 have made themselves known, though I personally doubt more than three will receive a nomination. My guess is that this comes down to Rep. Borris Miles versus Rep. Senfronia Thompson, and I can make a case for either as the frontrunner. If it goes to a runoff and I’m right about these two being in the lead, then the big question is whether Ronald Green has given any guidance to his supporters about a second choice. At the convention for choosing the Commissioners Court nominee, all of Dwight Boykins’ supporters moved to Gene Locke’s side after Boykins conceded, at least as far as I could tell. This would have been a difference-maker if Ellis had not already secured a majority. Once a new nominee for SD13 is chosen, the next question will be whether we need to do this one more time, in either HD141 or HD146. At this point, I have very little idea who may be circling around either seat in the event the opportunity arises, though I have heard some chatter that Boykins is looking at HD146. I will be interested to see who is there today, ready to hand out push cards or whatever. I’ll have a report from the convention tomorrow, which I am planning to attend, thankfully as a spectator and not a participant. PDiddie, who lives in HD146 and expects Rep. Miles to win, has more. Two possible candidates have taken themselves out of the running. State Rep. Garnet Coleman and former City Councilman C.O. Bradford have decided not to run for Rodney Ellis’ state Senate seat, citing a desire to retain seniority in the state House and concerns about the electoral process, respectively. That leaves state Reps. Senfronia Thompson and Borris Miles, and former City Controller Ron Green vying for Senate District 13, which stretches from northeast Fort Bend County to Houston’s northeast corner. C.O. Bradford also was considering joining the race, but said Tuesday that he had decided against it because of the requirement that precinct chairs vote publicly. I didn’t get the sense that anyone had an issue with that on Thursday night, but then maybe it was only those chairs who were okay with it that showed up. One could always get involved with the party if one wishes to change the operating rules by which the party abides, which it adopts at its biennial conventions. Rep. Coleman sent out a press release just prior to Thursday’s meeting at which the judicial nominees were chosen, citing his seniority in the House and position as Chair of the County Affairs Committee and Legislative Study Group Caucus as reasons for staying put. Barring any unexpected entries at this point – a few of us were speculating on Thursday about CM Boykins, but no one had any information – or fringe candidates, the lineup appears to be set with Rep. Thompson, Rep. Miles, and former Controller Green. All three were there on Thursday night as well; they provided the food for the meeting, which was greatly appreciated given that we were all there till after 9:30. As HCDP Chair Lane Lewis noted at the beginning of Thursday’s meeting, SD13 covers both Harris and Fort Bend counties, so it is the state party’s role to call the convention at which the next nominee for SD13 will be selected. He said that was set for Saturday, July 16, at 10 AM at the CWA hall (the same location as for the Commissioners Court nomination process), and that it was open to the public if one wanted to observe. I may do that myself if my schedule allows. I will be happy to observe and not participate this time. In six days, Democratic precinct chairs in County Commissioners Court Precinct 1 will select a nominee to replace the late El Franco Lee on the November ballot. In 11 days, all Democratic precinct chairs will select nominees for the 507th Family Court and the County Criminal Court at Law #16. This is a brief update on activity related to those races. About a week ago, I received a letter addressed to precinct chairs concerning the 507th Family Court race. It was sent by fellow precinct chair Natalie Fairbanks and it enumerated the number of Harris County family court cases that each of the six known candidates had been involved in since 2008. I did a scan of the letter, which you can see here. A couple of days later, candidate Germaine Tanner sent an email to precinct chairs arguing that the data in the Fairbanks was inaccurate and incomplete, as all the attorneys in question have been practicing since well before 2008 and the count of cases did not include those “that were filed as post-divorce proceedings between the years 2008-2015, but with a case number that preceded the year 2008”. You can see this email here. Later that same day, candidate Julia Maldonado sent her own email pointing out that there are qualifications beyond number of cases worked, such as board certification, and that some attorneys handle cases outside of Harris County as well. You can see that email here. As for the County Criminal Court at Law #16 race, the HCDP lists three candidates who have stated an interest in that nomination. Two of them have made themselves known to precinct chairs recently. David Singer, who up till recently was the only candidate I was aware of for this position, sent a letter to precinct chairs outlining his background and qualifications. I thought he had also sent that via email, but if so I can’t find it. This is the back side of his push card from the March primary for the 177th Criminal District Court, which is from an email he did send to precinct chairs in February. It’s a succinct summary of what was in the letter. Last week, I received an email from Darrell Jordan, who was a candidate for the 180th Criminal District Court in 2010. You can see that email here. The third candidate in this race is Raul Rodriguez, who had run for the 174th Criminal District Court this March and like Singer had been a candidate for one of the County Criminal Courts in 2014. I’ve not yet heard anything from him on this race. I do have Q&As from all three from past candidacies – Singer and Rodriguez for 2016, Jordan for 2010 – and will be revisiting those this week. Finally, on the Commissioners Court race, candidate Georgia Provost made a pair of robocalls to precinct chairs this week. It was the first contact from a candidate not named Ellis, Locke, or Boykins that I received. And I have to say, of all the ways available to reach out to voters, I have no idea why she chose the robocall route. Robocalls have their place in the firmament – they’re a pretty efficient way of reminding people that there is an election in the first place – but given that nobody listens past the first five or ten seconds and you don’t know who actually picked up the phone, why would you do that for a more detailed sales pitch like this race? I mean, there’s 125 voters total for this race. At a very leisurely pace of five contacts per day, you could reach everyone in less than a month, and ensure that you personally get to talk to them. I can’t imagine a less effective strategy for a race like this than robocalls. Finally, a few days ago I received a letter from Rep. Harold Dutton endorsing Gene Locke for the position. To the best of my admittedly spotty recollection, it’s the only letter I’ve received from an elected official endorsing someone other than Rodney Ellis. At the very least, it’s the only one I’ve received recently from an elected official. Six days till we pick a Commissioner. Eleven days till we pick two judicial candidates. Hang in there, y’all. This may end the suspense for the June 25 precinct convention. Senator Rodney Ellis has won the public support of 65 of the 125 Precinct One precinct chairs eligible to vote in the June 25 selection process for the Democratic nominee for Harris County Commissioner, Precinct One. 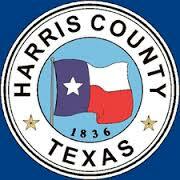 Today’s announcement followed the endorsement of Ellis last week by Kaye Lee, the widow of the late Commissioner El Franco Lee, and the endorsements of many community leaders and a super-majority of Democratic elected officials representing Harris County. “I am very grateful and very honored to have the support of these leaders who are tasked with the responsibility of selecting the Democratic Party’s nominee for Precinct One Commissioner. “To the these 65 precinct chairs, thank you from the bottom of my heart for your support. And to those who have yet to make a decision, I will continue to work hard to earn your vote. “The next elected commissioner will stand on the shoulders of the late, great Commissioner El Franco Lee and must honor and build on his legacy. If selected, I look forward to working in partnership with our precinct chairs to do just that and to make Harris County a better place for all of us. Roads and bridges are important, but our increasingly urbanized county needs a Democratic commissioner who will fight for so much more. “Going along to get along won’t stop people from dying in our jail, won’t increase the local minimum wage, won’t fix our roads or prevent flooding, won’t deliver mental health care services or bring new economic opportunity to those who have been left behind. This was posted to Sen. Ellis’ Facebook page yesterday morning; interestingly, the first comment was an expression of doubt from Dwight Boykins, who of course is also seeking the Commissioner nomination. The chairs who have endorsed Ellis are listed in both places, which as Campos notes means that Boykins and serving Commissioner Gene Locke now know which chairs they need to target. It is also possible that some people may just change their minds, but if their experience has been anything like mine then I can say that Team Ellis has been pretty diligent about checking with them to see if anything has changed in their status. A more pressing concern may be that for whatever the reason, some of these folks may not show up on June 25. If there was ever an election in which turnout was paramount, it would be this one. Beyond that, we’ll know soon enough how accurate this count is. The Chron has more. UPDATE: Here’s Commissioner Locke’s response to Sen. Ellis’ statement. Kind of late in the cycle given the number of lesser known candidates in these races, and not nearly complete, but here it is anyway. In addition to the first open mayor’s race in six years, Houstonians can expect to see at least four new faces on City Council next year – three of which will come from contests to be decided in Saturday’s runoff election. In the At-Large 1 race, former police officer Mike Knox faces photographer and philanthropist Georgia Provost. In the At-Large 4 race, municipal finance lawyer Amanda Edwards faces former Harris County Department of Education trustee Roy Morales. 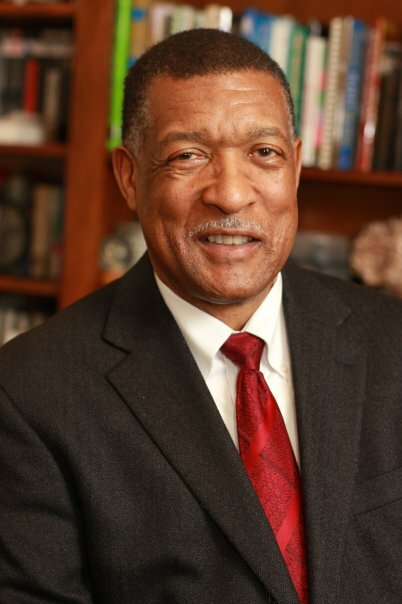 Edwards, who has served on nonprofit boards such as Project Row Houses, worked in the Georgia Legislature while in college, then for U.S. Rep. Sheila Jackson Lee, D-Houston, before heading to Harvard Law School. City Council must better articulate Houston’s goals, she said, so it does not work at cross purposes by retaining what she views as suburban parking rules, for instance, in areas primed for the sort of density that would enable bicycling and walking. She said voters must be asked to modify a decade-old cap on city property tax collections at least to protect public safety spending, and rising pension costs also must be addressed. “I can’t think of more complicated, pressing issues than some of the ones we face right now,” she said. The race to replace term-limited Ed Gonzalez in largely Latino District H pits elementary school teacher Karla Cisneros against HPD community service officer Jason Cisneroz. Cisneroz, an Army veteran, worked at City Hall as a staffer for Gonzalez and former Harris County Sheriff Adrian Garcia. Cisneroz said he believes a staffing shortage at HPD can be resolved, in part, by more effectively coordinating calls for service with other law enforcement agencies. Cisneroz has emphasized the economic disparities in District H. Corralling stray dogs and catching illegal dumpers, he said, also would be top priorities. He also called for an independent “developer integrity unit” to make sure new projects do not adversely affect roads and drainage in the area. Cisneros, too, has focused much of her campaign on inequality in the district, pointing to her experiences teaching elementary school on both sides of Interstate 45. The former Houston school trustee said many of the city’s tax increment reinvestment zones, which keep some property tax revenues within their boundaries for public improvements, have “institutionalized inequality.” Cinseros said she would work to limit the expansion of these zones and to disband others. Not very conducive to excerpting, so read it all yourself. If there isn’t a story in today’s paper about the At Large #2 and #5 runoffs, I’ll be very disappointed. I mean, we could have a very different Council next year, with a ton of new faces, and yet I’d bet most of the voters who will cast a ballot today couldn’t name more than one or two of the eight At Large candidates off the top of their heads. I expect the undervote rates to be pretty high – not as high as they were in November, but in excess of 20% per race. We’ll see. The Forward Times points out another notable aspect of today’s races. This election is not like any other in Houston’s rich history. After the November election, Council Members Jerry Davis (District B), Dwight Boykins (District D) and Larry Green (District K) were all re-elected to council. With Council Member C.O. “Brad” Bradford being term-limited, that reduces the number of African American council members to three. As a result of the general election results, however, Houstonians now have an opportunity to vote to have seven African Americans serving on Houston City Council at the same time, by voting for candidates in four At-Large city council races. In the At-large Position 1 race, entrepreneur Georgia Provost faces Mike Knox; in the At-Large Position 2 race, Rev. Willie R. Davis squares off against incumbent David Robinson; in the At-Large Position 4 race being vacated by term-limited C.O. “Brad” Bradford, attorney Amanda Edwards faces Roy Morales; and in the At-Large Position 5 race, Sharon Moses faces incumbent Jack Christie, who defeated two-term incumbent Jolanda Jones, who fell short in her quest to complete her final term. Not only would there be seven African Americans serving on Houston City Council, but in the race to replace outgoing Mayor Annise Parker as mayor of the city of Houston, Sylvester Turner also has a chance to be the 2nd African American mayor in Houston’s history. That would make a total of eight African Americans around the horseshoe at Houston City Council. Some of those eight are better than others, obviously, but no question we could have a historic result. The story notes that we could have had six elected African Americans in 2011, but fell short when Jolanda Jones was defeated. Provost and Moses also have the chance to be the first African American women on Council since Wanda Adams’ departure in 2013. It will be interesting to see whatever happens. It’s official – HERO will be on the ballot this fall. Not sure why anyone would want to vote against that, but hey, I’m not Jared Woodfill. Or Bill King, for that matter. King, who bills himself as a moderate fiscal conservative, is seeking the support of Houston’s conservative west side — a group of voters City Councilman Stephen Costello and 2013 mayoral runner-up Ben Hall also are courting. Hall is a staunch opponent of the nondiscrimination law, while Costello and the candidates to his left support it. That puts King in a difficult position, Texas Southern University political science professor Jay Aiyer said. “He needs to make a runoff on the strength of conservative voters, but he recognizes that winning a runoff opposing HERO might be difficult,” Aiyer said, noting that Houston voters are predominantly Democratic. The top two vote-earners in November will advance to a December runoff. By continuing to straddle the fence, Aiyer said, King may alienate both sides. King refuses to take a position on HERO. That Chron story calls it “straddling”; I call it “avoiding”, and I think it’s gutless. If Bill King would like to articulate a sober, non-bigoted rationale for opposing HERO, I say go for it. I’m sure the Greater Houston Partnership and all the Fortune 500 companies in town that have their own non-discrimination policies and have supported HERO as being good for their businesses would love to hear it as well. I’d suggest that he might want to do a little research first, lest he ignorantly parrot one of the scurrilous lies being propagated by those bigoted opponents he doesn’t want to be associated with. Maybe if he does that, he can then figure out what he should do, and let the rest of us know. Anyway. As we know, a lot of the opposition will be coming from a group of pastors, plus scoundrels like Woodfill. I’m hearing that he and his pals are trying to scare up a “straight slate” for various Council positions, because nothing says modern and forward-moving like harking back to 1985. I’ve said my piece about how I think the campaign ought to go; I’m glad to see that the idea of using beloved celebrities to advocate for HERO, which occurred to more than just me, is catching on. If you want to get involved locally, check out and give a like to Houston Unites. All hands on deck, y’all. We can’t have anyone sit this one out. Because change is hard. It always is. Transit officials might have reimaginged bus service in the Houston area, but the riders who rely on it for daily trips are asking them to rethink it again. Since the redesigned bus system was approved in February, concerned riders have appeared at every Metropolitan Transit Authority board meeting worried the changes will leave some riders — notably elderly and low-income Metro users — a farther walk from convenient bus stops and with less effective bus service. Those concerns amplified this week during public hearings to discuss the changes. Dozens of riders, ranging from disabled transit-dependent downtown workers to late-shift restaurant employees at Houston’s airports to elderly users afraid of half-mile walks, have voiced concerns about the new bus network, set to debut Aug. 16. “It is the only transportation I have,” said Sharon Bomar, one of many residents of a senior apartment building at 2100 Memorial to oppose the changes. This is going to be hard. It was hard work getting to here, and it will be hard going forward. This change affects everyone who currently rides a Metro bus, and some of those people will be worse off as a result. The goal, and the hope, is that far more people will be better off, and that some number of people who currently don’t ride Metro buses will be persuaded to do so because the new routes are sufficiently more convenient for them. But again, some people are going to lose. They’re likely the only ones showing up at a meeting like this, since there’s not much for those who like the new routes to say. The good news for Ms. Bomar and her neighbors is that an alternate route that restores her service has been proposed, and it already has the approval of board member Christof Spieler. If any further changes are coming, I figure that will be one of them. Along with the route displacement, residents in northeastern and southern Houston have raised numerous concerns, including a lack of sidewalks to get to bus stops. “Look at the reality of my mama, your mama, a grandmother having to walk four blocks for the bus,” Houston Councilman Dwight Boykins told Metro officials. “The last thing I need is for one of my senior citizens to have to walk, and then get hit by a car waiting for the bus,” Boykins said. No question better sidewalks would be a huge help here, but that’s not something Metro can control. They can do more to improve stops, especially at transfer points, and we should expect to see more shelters at stops thanks to the extra sales tax revenue that Metro is receiving. The thing is, I don’t think we will be able to judge how good the new system is until people start using it. Does ridership increase? Do people say they like it? How does Metro adjust if things don’t go as well as hoped? We’ll see what changes they make in response to this feedback, then we’ll see how it goes in August. Let’s please have a little patience and some appreciation of the fact that there will be some bumps in the road no matter what. Jan Clark is pleased to announce her candidacy for Houston City Council At-Large Position 5. She is a proud almost-native Houstonian and unabashed Houston booster. Jan brings fourteen years of municipal law experience in addition to her more than forty years of residency in Houston. Jan grew up in the Inwood Forest area of northwest Houston and attended public schools. Jan worked in the food and beverage industry to support herself and pay for much of her education. 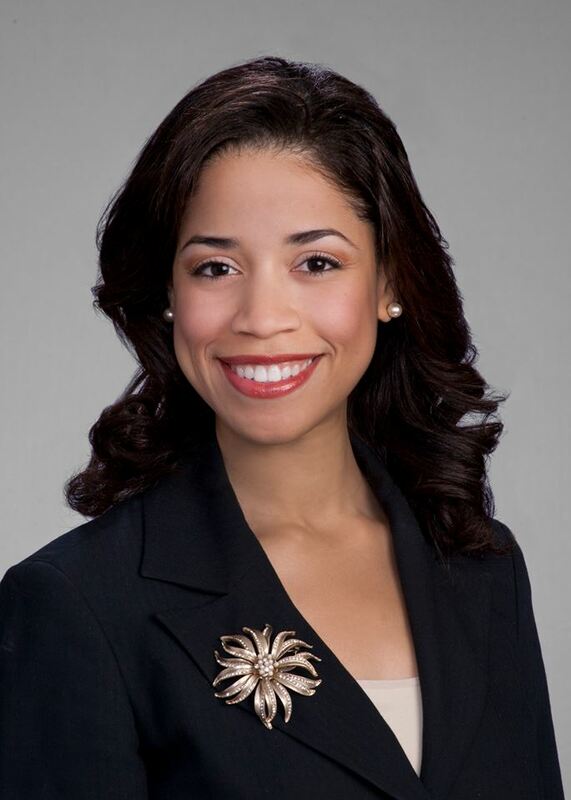 She earned a Bachelor of Science in Political Science from the University of Houston and a Juris Doctorate from the University of Houston Law Center. While at the Law Center, she received the Faculty’s Distinguished Service Award. In addition, she was awarded two Public Interest Fellowships. Jan began her legal career in the City of Houston as a Municipal Prosecutor. She accepted greater challenges and responsibilities throughout her career in municipal law in a practice that encompassed aviation to zoning (in another city). Jan served as the advisor to the Mayor’s Office for Cultural Affairs for civic art, and worked with the Office of Business Opportunity on small and disadvantaged business and Hire Houston First programs. Jan was awarded the Edward A. Cazares Award for Excellence and Professionalism in Municipal Law while at the City of Houston. After leaving the City in 2012, Jan established a successful real estate practice taking her to neighborhoods all around Houston. She has seen not only the greatness of Houston and its people but also the very real effects of the decisions made at City Hall. Campos confirms that CM Jack Christie is running for re-election here, and is busy raising money for it. I know of at least one other person who has at least thought about running in At Large #5. Jan Clark is the first person I’m aware of to make a public announcement. We’ll see if she’s the only one. My name is Matt Murphy, and I am running for Houston City Council District D.
My wife (Rachel) and I have lived in District D since we renovated and preserved one of the beautiful homes that compose the Riverside Terrace neighborhood nearly 8 years ago. In 2009, we were blessed by the birth of our only child (Shawn). Together, we have considered District D the only place we have called home as a family, and we plan to stay here forever. District D is in the process of reinventing itself in the 21st century. This reinvention is transforming the ethnic composition of the neighborhoods. 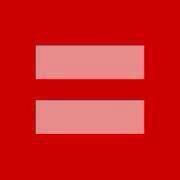 We are becoming a melting pot of races, ages, sexual orientations, and religious beliefs. Although this is a move in the right direction, this has also led to more and more tensions between neighbors because of differences. It will continue to do so without proper representation and leadership. Through past experience and the study of expert research we can conclude that if you know your neighbors name, then you are obligated to look after them regardless if you agree on every social issue. As neighbors, we all have common ground, our community, and neighbors that know each other are catalyst for positive change that breaks down the barriers of tension and fear. With that philosophy in mind, I am also announcing the immediate launch of the “Know Your Neighbor” initiative in conjunction with my announcement to run for Houston City Council District D.
The “Know Your Neighbor” initiative will guarantee victory for our community because it brings neighbors together and will carry on far beyond any aspirations of a political candidate. With your support and assistance, District D can be the leader and blueprint for building community in the rest of the great city of Houston. This initiative deserves a leader that has vision for our community, and I am the right candidate to help propel this vision into reality. You have my word and commitment that I will walk hand-in-hand with all of you as neighbors during this initiative. I dedicate my time during this campaign to listen to your concerns and earn your respect, so you can help write the platform that you, as neighbors, demand for any political candidate that represents your voice moving forward. Once elected, I will humbly accept the responsibility to be your positive voice that continues this initiative as your city council representative. I’m looking forward to getting to know all of you better through this journey. 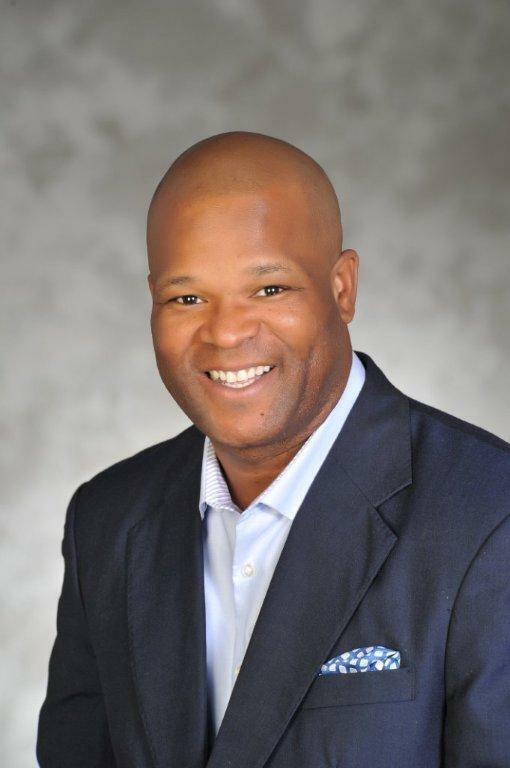 CM Dwight Boykins is in his first term in District D. He upset more than a few people with his vote against the Houston Equal Rights Ordinance, though that may not hurt him in that district. I’ll be interested to see how Murphy or any other challenger campaigns in D.